The Fillmore 25 shows up to claim the bantam-weight class with a compact 6V6 format. Authentic traditional tones abound in this new Fillmore’s popular power range, from clipped cleans, to a purring grind, all joined by the preamp’s higher gain realm delivering blistering tube overdrive like only a MESA can. 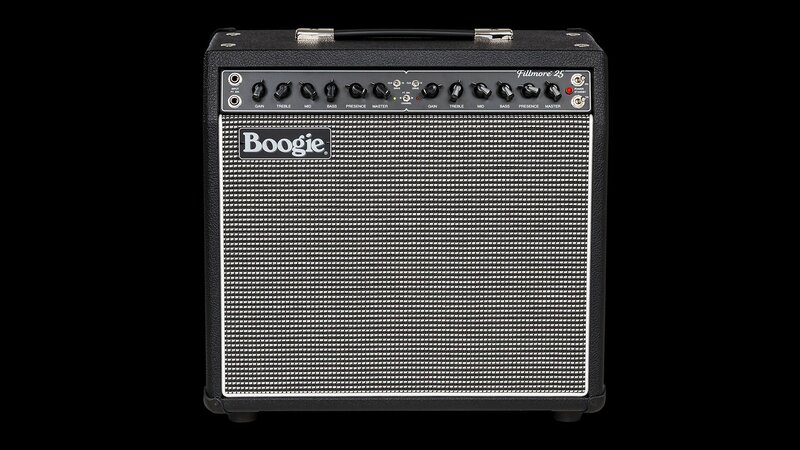 The 25 also features tube-driven spring reverb that provides some of our lushest, richest reverb to date. Experience the 50's circuit, soul and clip-ability coupled seamlessly with the realm beyond where traditional amp evolution tapped-out in the twilight of the 60s with the new Fillmore 25. Finally, you can have the original Boogie-sized footprint, preamp flexibility to cover any style, and Traditional, old-school dress in the perfect power range! …Tone for days that brings back The Years!